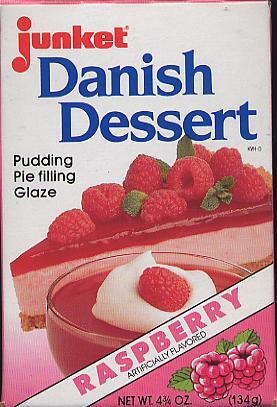 Junket Danish Dessert Raspberry --Pudding, Pie Filling, Glaze - Dessert - The Dutch Shop LLC your store for Dutch groceries. This unique, easily prepared dessert originates from an original recipe of the Danish favorite, Rodgrod. Simply add water, heat and enjoy for the tastiest pudding, pie filling or glaze this side of Europe.